"For some people, placing bets while the race is in running or in-play can be daunting. But if you use the correct tools it can be easy and easily automated." For some people, placing bets while the race is in running or in-play can be daunting. But if you use the correct tools it can be easy and easily automated. Once set up you can leave the software to do the work for you. It's like having a robot watching each race for you and deciding if the conditions are right, then placing a bet on your behalf. As an example, we might want to only bet if the tipster's selection is running well during the race. So we could decide to place a bet only if the odds are at 50% of the pre-start odds. Yes, we will get lower odds, but we also get higher probability. 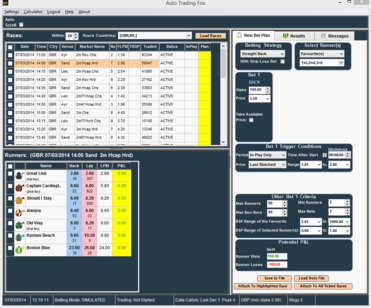 What's more, we can use software like Autotradingfox to do this without too much trouble. After loading the day's races from the UK and Ireland, the runners will be downloaded for each race. So when you click on the race row all the runners will appear for that race underneath the day's races. We then need to create the bet plan. We simply want to place a back bet during the race or in-play on a specific horse. 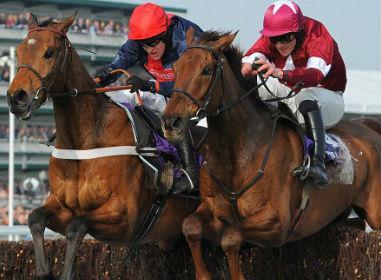 If the horse does not run well the odds will not come down and so we will not trigger a bet. If it runs well we trigger a bet and hopefully the selection goes on to win. We then select the race we want with our mouse, tick the runner in question, then attach the bet plan using Attach to highlighted race option. There are other options available so you could attach bet plans to all ticked races also but this is fine for us, as we will be attaching a different bet plan to each race. Each bet plan will have its own odds trigger range for Bet 1 and its own runner selection ticked, as per our tipsters' choice. 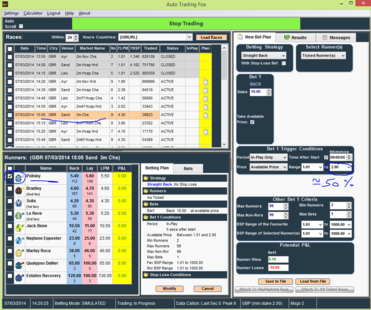 We then click Start Trading to start the software. The start button at the top will turn green. You can then sit back, relax and watch the action or even go off and do something else. Our first race was a No Bet as the odds in running never got to our trigger setting of [1.5] or less. Our second race did trigger a bet. This time our selection Greywell Boy hit our in running trigger of [1.75]. We got a match at [1.83] using Betfair's best matching policy and it went on to win. 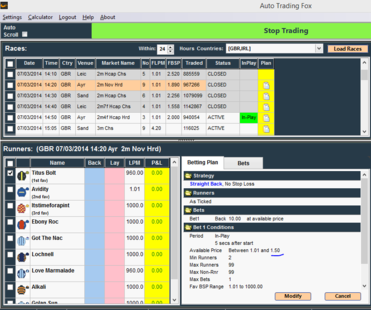 Other options in the software could allow us to 'green up' or 'red up' our bet automatically as well, so the variations really are limitless. 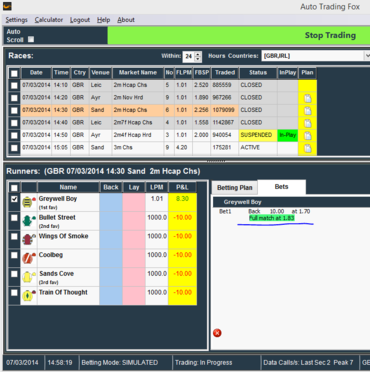 If you're looking to automate your betting plan, Autotradingfox is definitely something to think about.